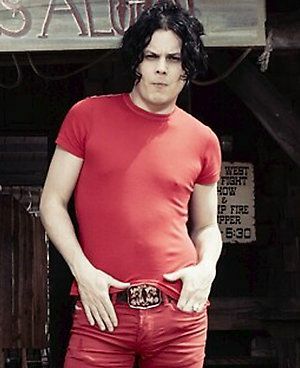 RED ALERT EVERYBODY: Jack White is having his mid-life crisis. The 42-year-old pale rocker is starting to become an old man. Gone are the days of his bright red shirts shaking his flailing hair around with plastic guitars nobody’s heard of. 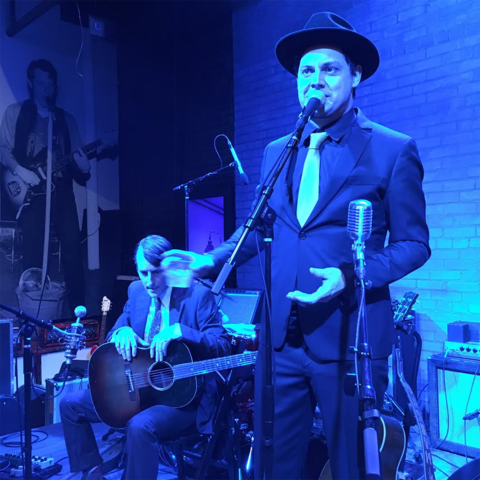 He can’t even be a hipster anymore wearing old suits with fedoras onstage, that’s just typical attire for a man his age now. His pining for old technology, music and taste has finally caught up with him, so you’d think he’d be relaxing comfortably settling into his golden years as a 21st century rock legend. But because he’s Jack White, he seems to have finally realized how out of touch he’s been with the modern world. It seems to have just hit him that he’s a divorced father playing amped-up blues rock in the world of trap and discount dancehall, and Mr. White is trying his damndest to stick his head into the modern world. It’s unclear as to whether or not White expected some kind of clarity, but it seems he’s as lost in the haze of the 2010s as the rest of us. That’s crystal clear by the album cover alone of Boarding House Reach, White’s third solo album and first in four years. While White may or may not be the androgynous-looking face on the cover, said subject is swathed in a haze of cloud covering its head. Its ears are blocked off and only a single strand of black hair hanging down, with one eyebrow cocked up in interest and confusion. This could be the face of White during the making of the album, as he tried writing lyrics first and foremost without instrumentation then using Pro Tools (*GASP*) to edit later cuts. He also played with new session musicians, certainly putting him in a fog at first as to who could keep up with him or if he was on the level of his new bandmates. Perhaps that face on the cover is out of exhaustion, as Boarding House Reach is White’s longest solo record at 44 minutes in 13 tracks. More likely than not, the puzzled expression on the album cover will be seen by White’s fans reacting to the strangest album of White’s career. Don’t fret too much, as some of White’s trademarks are still all over the album: distorted guitars, soulful background singers, piano rolls and White’s own squeaky vocals. But it’s what White mixes into those elements that makes for some odd musical cocktails. It’s obvious from the get-go on album opener/first single “Connected By Love,” backed by dubstep-like wubs and a fading electronic drum roll in the midst of White’s scratchy piano ballad. Then there’s the gothic ballad “Why Walk a Dog?” that only clocks in at two-and-a-half minutes, making it feel like an interlude more than a real song. And the rabbit hole sinks deeper, from the odd spoken word “Abulia and Akrasia,” to other two-minute pit stops like “Everything You’ve Ever Learned” and “Ezmerelda Steals the Show.” There’s the sense that White wants this album to be taken as a sit-down, headphones-on experience and not simply a collection of modern blues takes lined up like his previous records. It feels like White definitively rolling the dice as a solo artist. Solitude has clearly done…..something to Jack White as a songwriter, as he seems more in touch and inquisitive with life than ever before. He starts with the simplicity of “Why Walk a Dog?” as he ponders what pets think of themselves as entertainment for humans with a play on Elvis Costello (“These cats seem to blow/Everyone’s mind, but mine/What is so funny/About beasts above understanding?”). Something is causing White to feel paranoid, with “every sound” sounding “like a dynamite blast.” What he craves more than anything is individuality, as heard on “Ice Station Zebra” where he seems to lay out every creative idea as “copying god,” and that there will never be another like him (“My time is mine and they know they can’t get it/J. B. told me you got to hit it and quit it”). Not that White is oblivious to his humanity, as on “Over and Over and Over” where he uses Greek mythology to emphasize his seemingly one-man crusade to save rock and roll has driven him into the ground (“And although you warned me/The gods have all scorned me now”). He still sees hope in “Ezmerelda Steals the Show” as he’s fascinated by a woman performing for a captivated audience. Even as the crowd cheers for her performance, she only responds with, “You people are totally absurd.” It’s almost impossible to think White himself isn’t telling every person looking at him sideways that exact same sentiment. Album Review: Jack White - "Boarding House Reach"